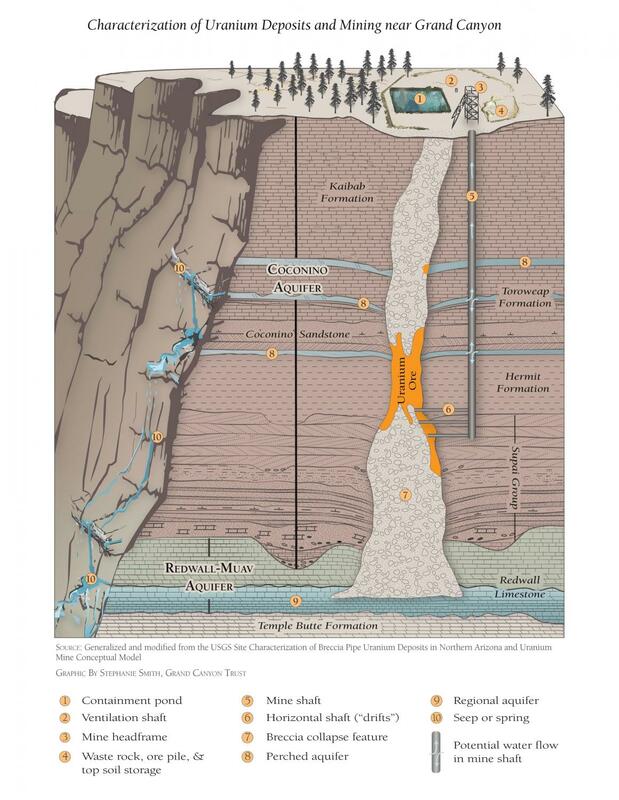 This graphic shows the characterization of uranium deposits and mining near the Grand Canyon. Maps may be used for non-commercial purposes provided that they are not altered or edited and they are appropriately credited. All map products should be credited to Stephanie Smith, Grand Canyon Trust, unless otherwise noted. For higher quality images or custom sizing please contact our communications director, Ashley Davidson, at adavidson@grandcanyontrust.org.